Bioinformatics is contributing to some of the most important advances in medicine and biology. At the forefront of this exciting new subject are techniques known as artificial intelligence which are inspired by the way in which nature solves the problems it faces. 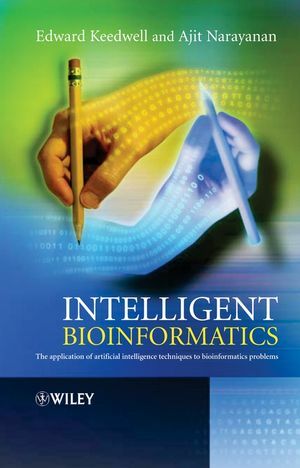 This book provides a unique insight into the complex problems of bioinformatics and the innovative solutions which make up ‘intelligent bioinformatics’. Intelligent Bioinformatics requires only rudimentary knowledge of biology, bioinformatics or computer science and is aimed at interested readers regardless of discipline. Three introductory chapters on biology, bioinformatics and the complexities of search and optimisation equip the reader with the necessary knowledge to proceed through the remaining eight chapters, each of which is dedicated to an intelligent technique in bioinformatics. The book also contains many links to software and information available on the internet, in academic journals and beyond, making it an indispensable reference for the 'intelligent bioinformatician'. Intelligent Bioinformatics will appeal to all postgraduate students and researchers in bioinformatics and genomics as well as to computer scientists interested in these disciplines, and all natural scientists with large data sets to analyse. Edward Keedwell is an Associate Professor in Computer Science. He joined the Computer Science discipline in 2006 having previously been a Research Fellow in the Centre for Water Systems and was appointed as a lecturer in Computer Science in 2009. Ajit Narayanan is the inventor of FreeSpeech, a picture language with a deep grammatical structure. He's also the inventor of Avaz, India's first Augmentative and Alternative Communication device for children with disabilities.